This news item was posted in C, Heart category and has 6 Comments so far. 3. sudden death, due to a fatal rhythm disturbance. What is the purpose of screening tests for CAD? In many patients, the first symptom of CAD is myocardial infarction or sudden death, with no preceding chest pain as a warning. 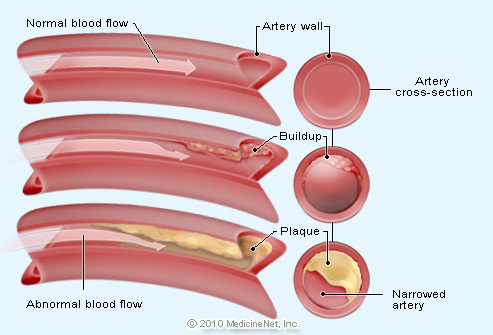 For this reason, doctors perform screening tests to detect signs of CAD before serious medical events occur so the tests are designed to detect plaque (Figure 1) before a coronary artery becomes completely blocked (Figure 2). Screening tests are of particular importance for patients with risk factors for CAD. These risk factors include a family history of CAD at relatively young ages, an abnormal serum cholesterol profile, cigarette smoking, elevated blood pressure (hypertension), and diabetes mellitus. What are common initial screening tests for CAD? An electrocardiogram (EKG) is usually the first and most simple test used to look for any CAD signs. Unless the patient is actively having a heart attack (myocardial infarction) which is often seen as an electrical change in the heart rhythm (ST segment elevation), the EKG may show electrical changes such as ST depressions or Q waves that suggest the patient has CAD or CAD with signs of a previous heart attack. An EKG often encourages the physician to proceed with initial screening test(s). 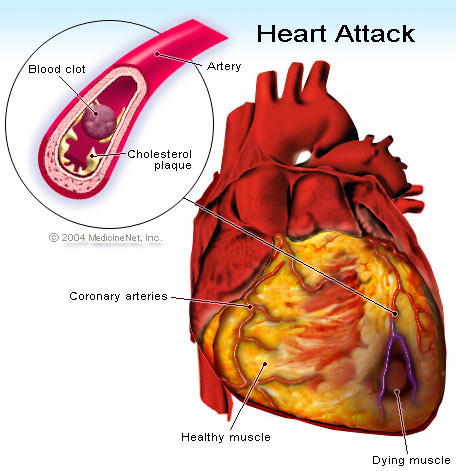 Initial screening for CAD commonly involves stressing the heart under controlled conditions. These stress tests are able to detect the presence of flow-limiting blockages in the coronary arteries, generally in the range of at least a 50% reduction in the diameter of at least one of the three major coronary arteries. There are two basic types of stress tests; those that involve exercising the patient to stress the heart (exercise cardiac stress tests), and those that involve chemically stimulating the heart directly to mimic the stress of exercise (physiologic stress testing). Physiologic stress testing can be used for patients who are unable to exercise.